Some may say that I am rushing the season, but we teachers know that post-Thanksgiving holiday preparation is a MUST! Shoot, once that blinking Christmas is set up or that menorah begins to blaze...you're sunk. The last thing kiddos are interested in is studying point of view, alliteration, story structure, and the like. I see you nodding your head. Uh, huh...You know I'm right about this, don't you? Fear not, my dear Simple Saturday educator friends. Fear not! I'm just about to clue you in on some QUALITY stuff! My new best friend, Darcy Pattison, is generously sharing her winter goodies with us....and they're fat free! Access this link to download Darcy's Winter Writing with Kids' free .pdf packed almost as full of treasures as Santa's sleigh! 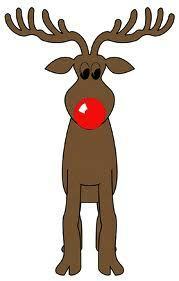 What kid can resist analyzing Rudolph the Red Nosed Reindeer for characterization, conflict, turning point, and resolution? How about studying Frosty the Snowman for creative use of language and hopeful endings or the Gingerbread Man for the structure of a folktale? What about using Santa Claus to teach character motivation? Lastly, why not use the 12 Days of Christmas to teach the cumulative structure, parody, or strong verb usage? So, you see, hope has arrived! There is a world of fun stuff to do with Darcy's download. Hang tough. You'll survive the post-Thanksgiving break duldrums, my dears. You'll be singing Hallejulah before you know it!